MARCH 13, 2015 UPDATE: Two U.S. senators have asked the U.S. Food and Drug Administration to investigate the lawsuit’s claims and provide updates about measures being taken to prevent the contamination of pet food. Thousands of dogs have been sickened or died after eating Beneful dry kibble, according to a class-action lawsuit filed Feb. 5 against the Nestlé Purina Petcare Company. The suit says the food’s main ingredient — propylene glycol, which is also a component of automotive antifreeze (!) — is toxic to dogs. This ingredient apparently helps keep the kibble moist, but it has lead to problems including internal bleeding, liver malfunction or failure, vomiting, diarrhea, dehydration, weight loss, seizures, bloat or kidney failure in at least 3,000 dogs who digested it, according to the lawsuit. On its website, Nestlé Purina says propylene glycol is safe: It’s “an FDA-approved food additive that’s also in human foods like salad dressing and cake mix.” Well, that’s good to know. The lawsuit says Beneful may also contain mycotoxins, which are toxic byproducts of mold. Frank Lucido, who filed the suit in a California federal court, said he began feeding his three dogs Beneful dry dog food in December. Within a month, all three began suffering stomach and liver problems. His English Bulldog died on Jan. 23 due to internal bleeding and lesions on his liver. His other two dogs, a German Shepherd and Labrador, are showing similar symptoms. All of these dogs had the same symptoms — mainly vomiting and liver problems. Cereghino said he plans to send the Beneful food he and others in the class action suit have saved to a lab to be tested for mycotoxins. The lawsuit will enable pet parents to know if there’s a “connecting piece in the storage or the grain, the sourcing of it all, that sort of make sense,” he told The Daily Beast. The lawsuit charges Nestlé Purina with breach of implied warranty; breach of express warranty; negligence; negligent misrepresentation; strict products liability; violating California’s consumer legal remedies act; violating California’s Unfair Competition Law; and violating California’s False Advertising Law. 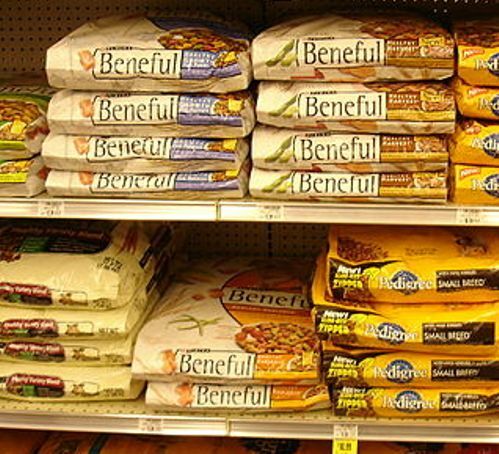 The lawsuit asks that Nestlé Purina Petcare Company pay actual, statutory and punitive damages to all those filed under it, and forfeit profits earned from the sale of Beneful dry kibble. Not too surprisingly, Nestlé Purina Petcare Company does not think the lawsuit has any merit. “We intend to vigorously defend ourselves,” Keith Schopp, vice president of corporate public relations, said in a statement to The Daily Beast. “As pet owners ourselves, our priority is the health and well-being of the millions of dogs who enjoy Beneful. We take these allegations very seriously and stand by our product, which is backed by Purina’s strict quality controls and comprehensive food safety program. Unfortunately, class action suits are common these days. They are not indicative of a product issue. In fact, we’ve faced two such suits in the past with similar allegations. Both were found to be baseless and were subsequently dismissed by the courts. Adding to the confusion, social media outlets can be a source of false or incomplete information, as many other pet food brands have experienced themselves.